Benny is different than everyone around her. She’s a girl with a boy’s name, An only child, who lost her mother at child birth. She grew up alone with her fundamentalist father in a Jewish settlement stuck in the heart of the Muslim east Jerusalem neighborhood of Silwan. At 17 she finds herself in conflict with all the truths she used to take for granted. 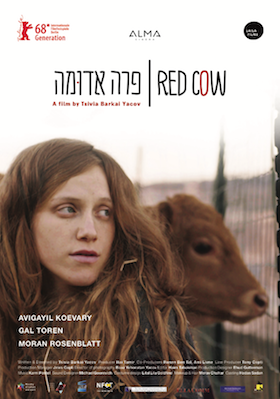 As her father becomes more and more obsessed with the red heifer that he believes would bring salvation, Benny drifts further away and into the arms of Yael, a new young woman in her life.